The webhosting industry can be rather overwhelming. Over the years, hosting providers continuously introduced cheaper and cheaper plans to suit every budget. Today, this has lead to an incredible variety of hosting plans, making it quite challenging to actually find what suits you. 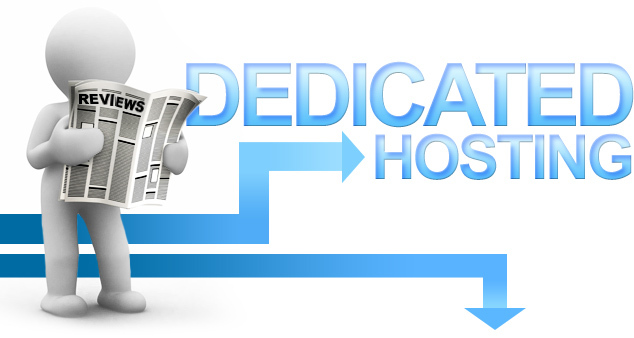 This article focuses on one type of hosting, dedicated servers. We’ll guide you through why they should be your choice and how to find the cheapest dedicated server hosting providers. With dedicated servers, you typically get much more bandwidth than shared or VPS hosting, plus you get dedicated RAM and processor power. This simply means that your server is just that, YOUR server. With cheaper hosting plans, you share resources with others, hence why it is cheaper. On shared hosting plans for example, you could be sharing your server with thousands of other customers. Imagine how easy it is for one customer to mess it up for all the others. Sure, there are systems in place to help isolate you from your “neighbors”, but these systems aren’t perfect, all of you are still packed in one “house”. A common misconception about dedicated servers is that it’s only for the big boys with millions of visitors a month and resource-intensive software applications. This may be partially true, however, isn’t it better to be immune to the problem rather treat it when it happens? What I mean here is, what if you’re already a popular brand offline, or on social media, but are just launching your website now? We can assume your website’s traffic will grow very fast, and hence it would make more sense to opt for dedicated server hosting. If you run any “specialized” web applications that need specific system settings or special software to be installed on your operating system, this can be done with ease. Want to install a different hosting control panel? Third party security software? It’s all very simple with root access. It’s no longer just cPanel or web interfaces, it’s more like you’re sitting in front of your own computer and can tweak anything. This is assuming you have the necessary technical expertise of course. If you’re going the dedicated server route, you may have been tempted to “buy your own” server and set it up in your home or office, in an attempt to mitigate some of the costs. This could be a very bad idea. When you order a dedicated server from one of the hosting companies out there, it’s typically setup and hosted in a datacenter. Datacenters have thousands of servers just like yours with physical security and enterprise connection speeds that are nothing like your home or office internet connections. They also have onsite engineers that are ready to help whenever things go awry. In short, a datacenter is built specifically for the purpose, but your home or office isn’t. How Do You Find The Cheapest Dedicated Server Hosting? It’s no secret that dedicated servers can be significantly more expensive than most other hosting plans. This is why it would make sense for you to be searching for the cheapest dedicated server hosting plan. This, however, can sometimes be a little tricky. Although many companies will “seemingly” provide servers with similar specs, you’ll often find hugely varying price points and you’ll be left scratching your head, trying to understand why. The reason is simple: fine prints. Some dedicated server plans come bundled with paid software (like cPanel, WHM), some do not. Some tell you that you have unmetered bandwidth, but cap your connection speeds. The country where the server is hosted also affects the price. But, what may have the biggest impact by far, is whether you choose managed or unmanaged hosting. With managed, your web host takes full responsibility of monitoring, maintaining, securing and updating your server. This is perfect if you do not have the technical expertise or would like to free up your time for more important tasks. The “unmanaged” servers typically mean that the host will provide the server “as is”, and it’s your responsibility to take care of most of the technicalities. The final crucial point to take note of here is customer reviews. A web host can make as many promises as it wants, but the ultimate judge of whether they deliver on their promises is their customers. So there you have it! By now you know the “why” and the “how”. Choosing the cheapest dedicated server hosting should now be a breeze for you now that you know what to watch out for.